At least two people have died and 125 people have been injured after a powerful earthquake hit parts of the northern Japanese island of Hokkaido. 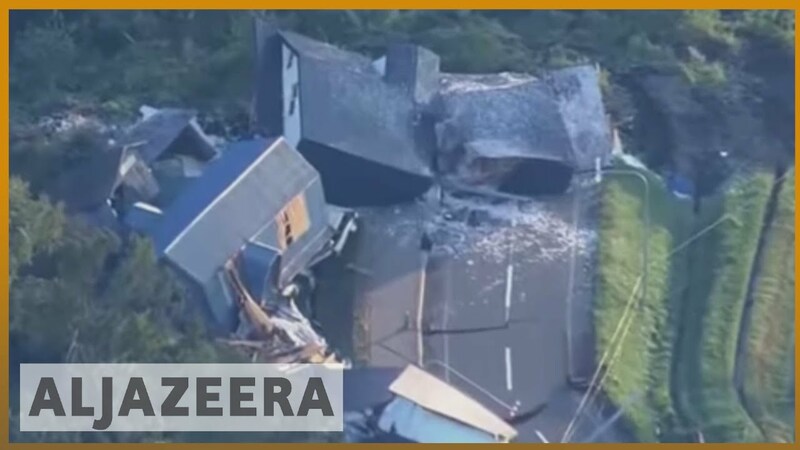 About 39 people have also been reported missing in the widespread devastation the country is already facing after Typhoon Jebi, which killed at least 10 and injured hundreds of others by the strongest storm in 25 years.Footage shows how buildings and streets were plunged into darkness in Japan's Hokkaido prefecture as the deadly 6.7-magnitude quake disabled power systems just after 3am today. Multiple, large-scale landslides struck the sparsely populated countryside, which was also hit by the edge of Typhoon Jebi that surged through Japan earlier this week killing at least 11. Aerial views showed dozens of houses destroyed at the bottom of a hill that was engulfed by mud and rocks. Entire streets were engulfed in mud in some parts of Sapporo. 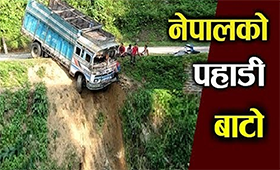 At least eight are dead and dozens more are buried under landslides. More than five million have been left without power after the quake damaged a major thermal plant supplying the region. Some 25,000 troops are being sent to the region to help with the rescue mission.